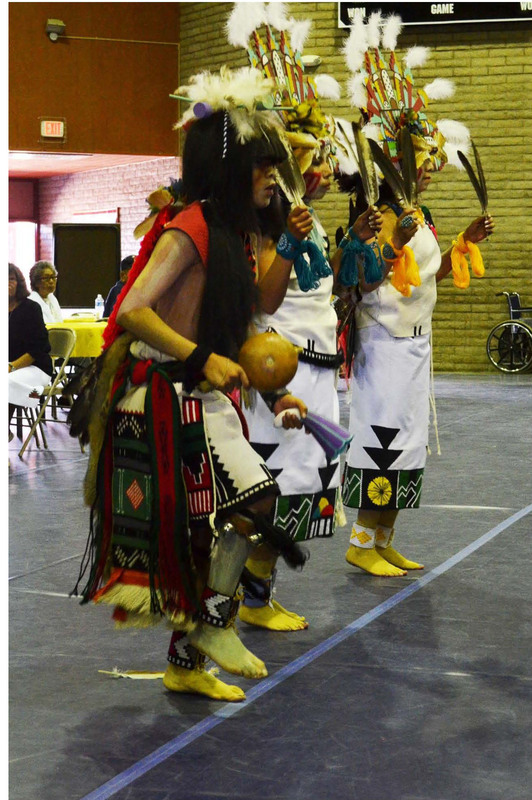 Bob and Ruth Beelman represented the 380th at the Hopi Code Talker Recognition Day on April 23 at Kykotsmovi, Arizona. Ruth is the sister of John W. Jackson, 531st Squadron. We are very appreciative of the time and effort put into preparing for and attending this event on behalf of the 380th Bomb Group Association. Here are Bob's account and photos from the event. 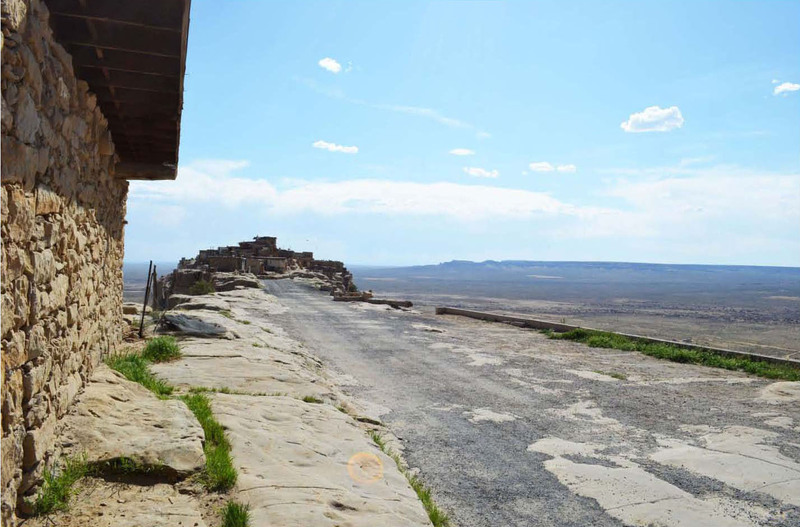 The story in the 380th Bomb Group Newsletter should be about Sergeant Rex Pooyouma (pronounced POO YAMA), his role in the 380th, his family, The Hopi Tribe, and, their tribute. There should be as little as possible about us, and, our attendance. It was quite an experience. We drove the 50 miles, or, so in to the reservation to the Kykotsmovi Veterans Memorial Center, near Kykotsmovi, AZ. It a very large, relatively new, building. We arrived about 9:20 AM. An active duty, Army Color Guard drove up from Fort Huachuca to march in, and, present the colors. Major General Gill P. Beck, Commander of the 81st Regional Support Command, honored guest, gave an excellent speech. 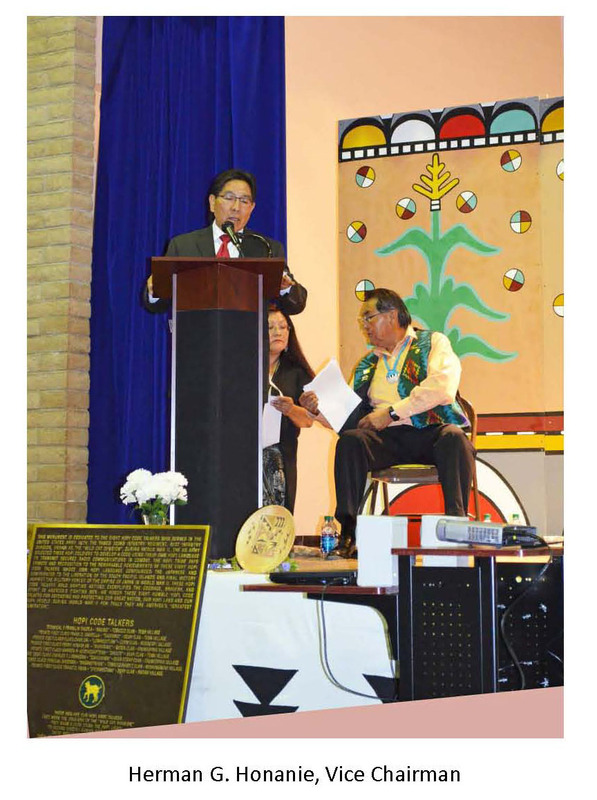 The Chairman of the Hopi Tribe gave a talk, and, I gave most of the speech I sent you earlier. Plaques were presented. 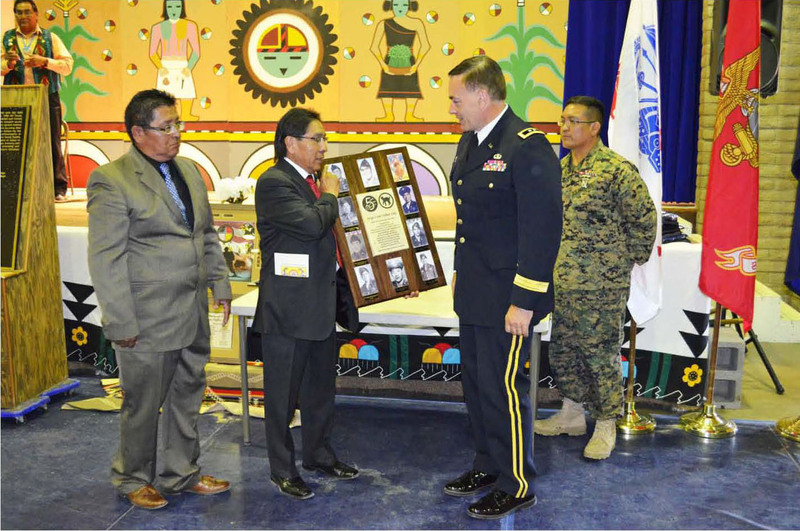 Major General Beck was presented a plaque to be placed in the 81st Infantry museum. 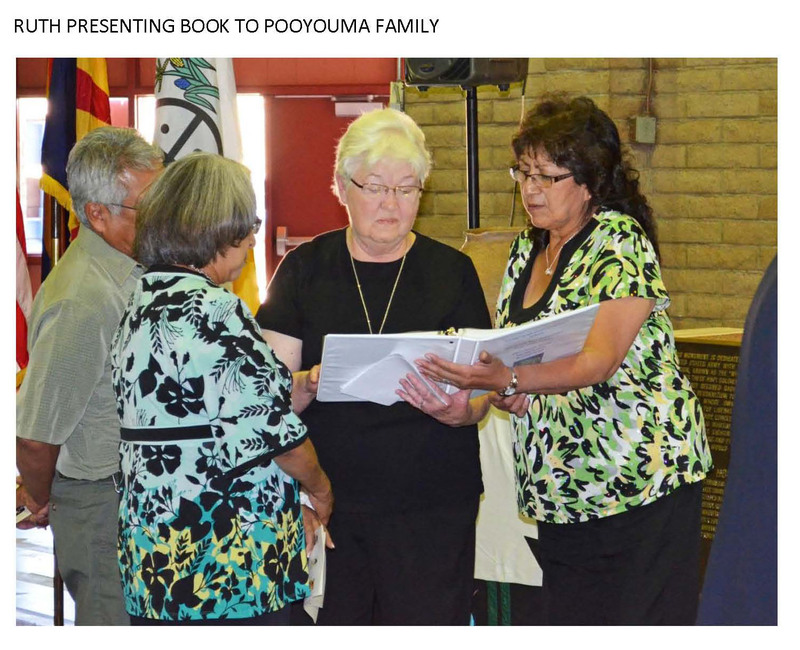 The families, including the family of Sergeant Rex Pooyouma, were presented plaques honoring their WWII Hopi CodeTalker. Ruth, and, I accepted the plaque for the 380th Bomb Group Association. It is a beautiful 5th Air force plaque, honoring Hopi Code Talkers, Sergeant Rex Pooyouma, 380th Bomb Group, and, Private First Class, Orville Wadsworth, of the 90th Bomb Group. After the ceremony we had a catered buffet lunch. There were a several hundred people in attendance. 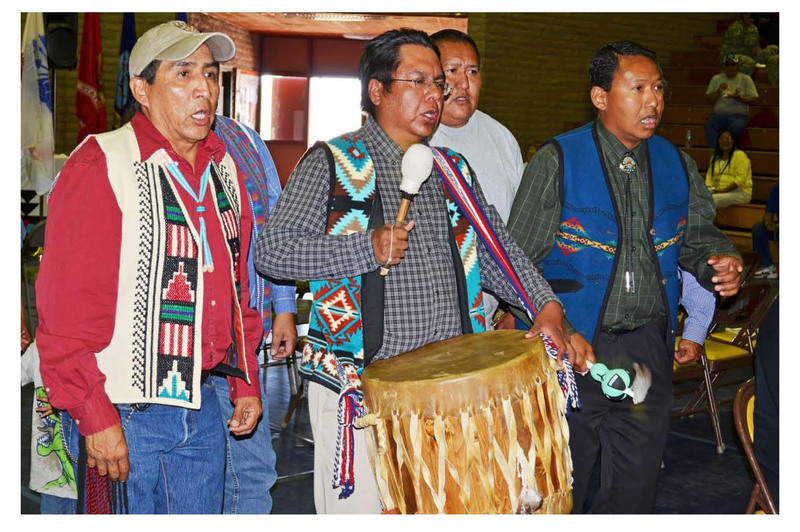 After lunch Two Hopi dance groups danced, to the beat of the drums, and, chanters. The General, his staff of about 5, another couple, and, we were put in SUVs, and, driven to First Mesa. Ruth and I were with the daughter of Orville Wadsworth. She is the assistant to the Vice Chairman, The Hopi Tribe. 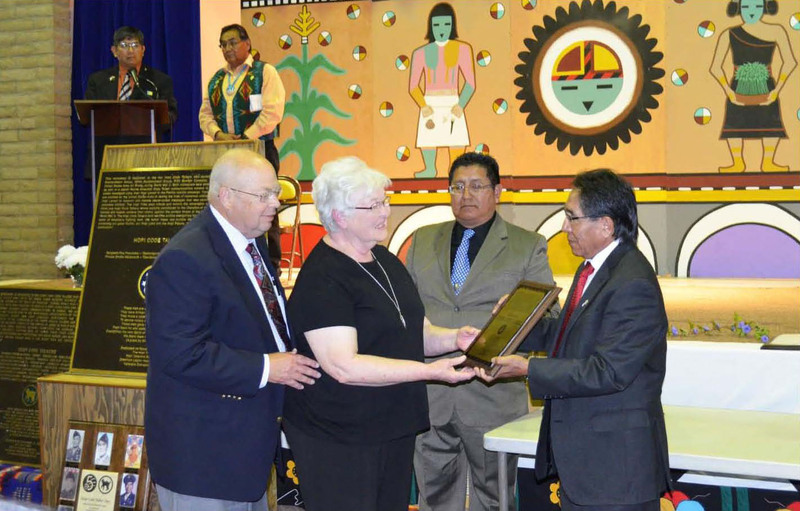 Also in the car was Arlene Honanie, the wife of the Vice Chairman, The Hopi Tribe. She is the expert on Tribal customs. They filled us in on Hopi life, and, beliefs. They pointed out places of interest. It is a matriarch society. Women own all property and land. We stopped at First Mesa where the oldest villages are. They are very high up on a mesa with shear walls. The shear walls protected them from attack by Apache, Navaho, the Spanish, and, others. There are 3 villages on First Mesa. The oldest village, about 900 AD, requires a guide, and no pictures. Many ceremonies are held in a Kiva. This is an underground room. Hopi use the Kiva for communal gatherings, and, spiritual rituals. Their lives, in many ways, revolve around the growing of corn. They grow dry corn crops with special seed they have developed over the years. We then went on to the second mesa, and, later the third mesa for a Pot Luck dinner. After the dinner Major General Beck, each member of his staff, Ruth, and, I were given Kachina's for our help in their celebration. We learned much more than I can write here about Hopi family life, beliefs, and ceremonies. They took us back to our car about 7:15. It was a long and wonderful day. 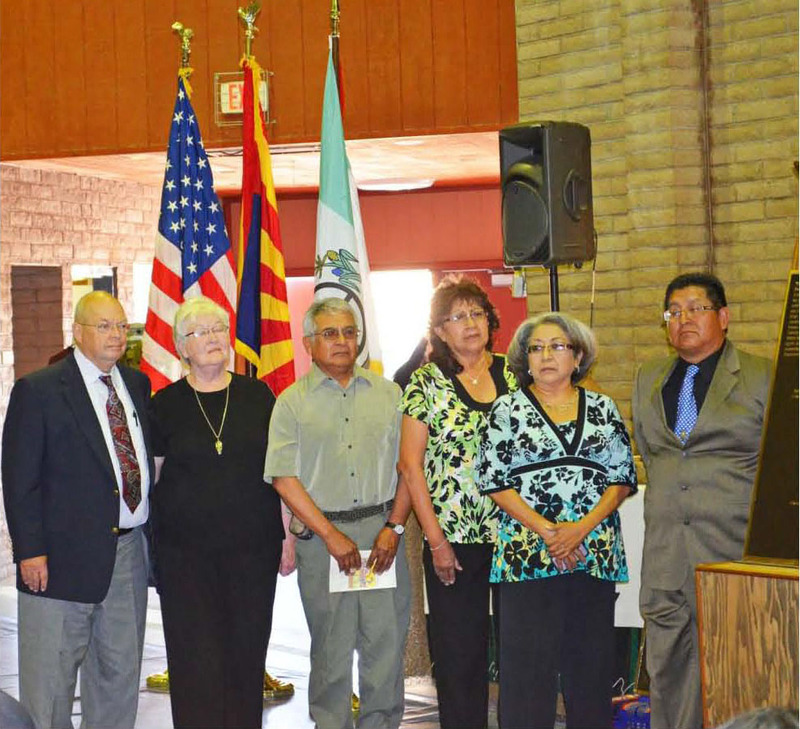 It was a privilege to participate in the recognition of these WWII Hopi Code Talkers. 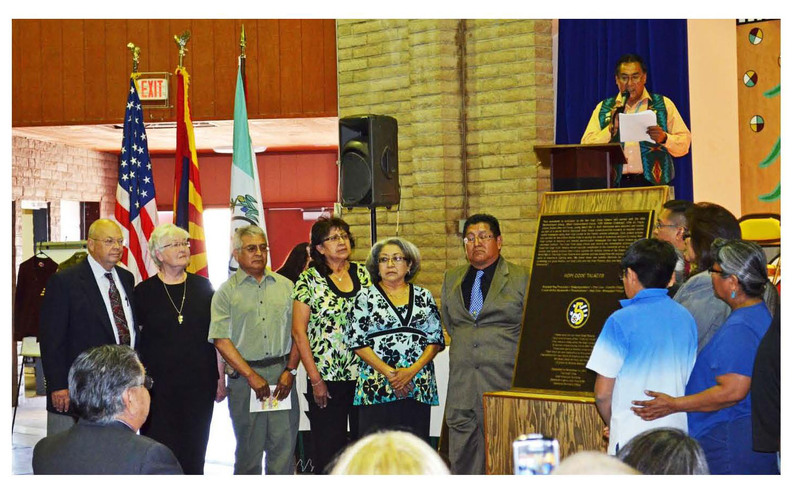 Two years ago the original 8 Hopi Code Talkers from the 81st Infantry Division were honored with a large plaque, about 3'x4'. 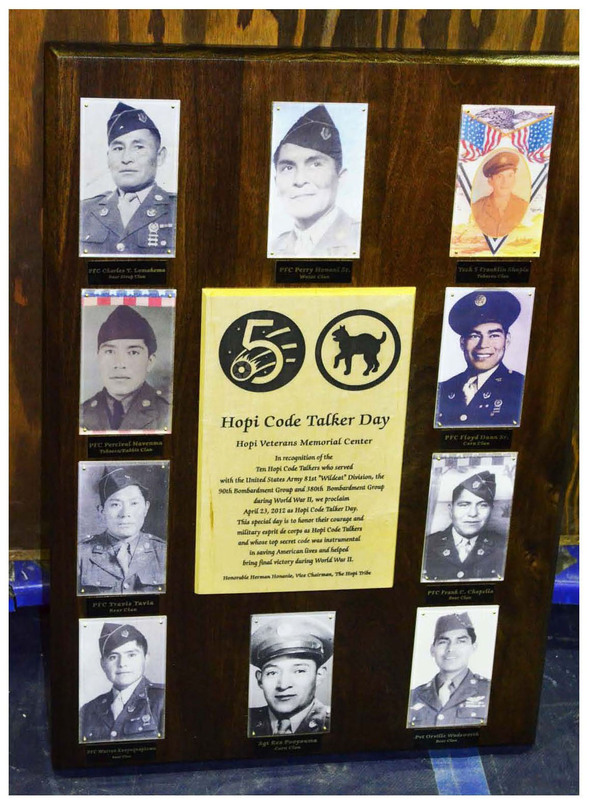 This new large plaque, created for this event, shows all 10 Hopi Code Talkers, with their pictures and the logo of both the 5th Air Force and the 81st Infantry Division. Rex Pooyouma (380th) is center bottom. Orville Wadsworth (90th) is bottom right. 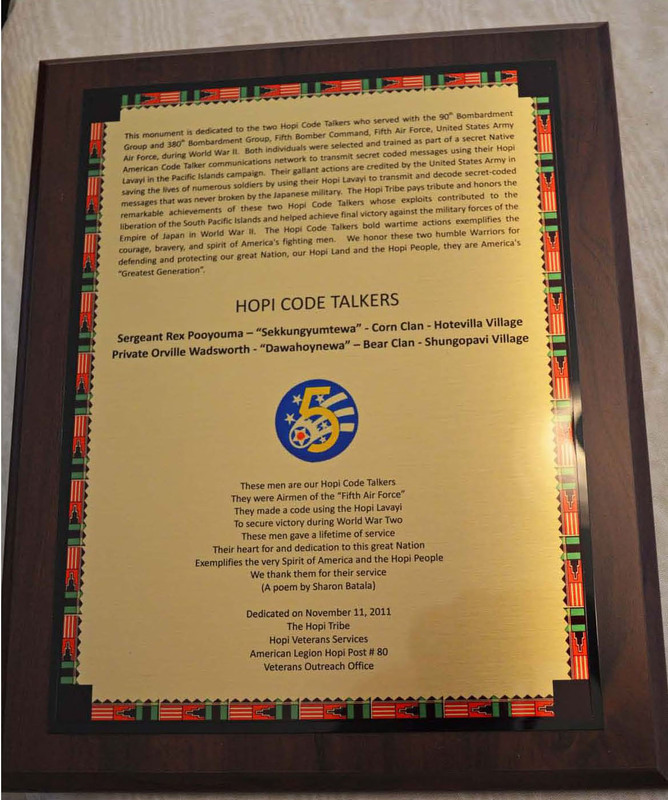 When the Fifth Air Force Code Talkers were identified, a new large plaque for the Fifth Air Force Hopi Code Talkers was created for this event. and the 90th Bomb Group Association. This is one that the Beelmans accepted on behalf of the 380th. It is about 12x14"
and is very nice. Barb Gotham now has it and will bring it to the New Orleans Reunion. Walpi Village, First Mesa. 900 AD. Earliest and most sacred village. 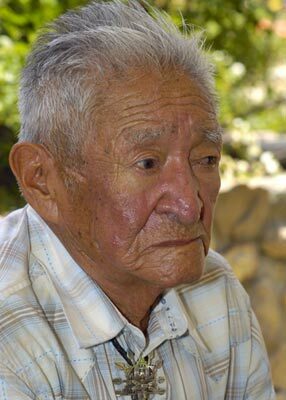 Rex Pooyouma was identified as a ninth Hopi Code Talker who was assigned to the 380th Bombardment Group. Later in October 2010, Orville Wadsworth was also identified as the 10th Hopi Code Talker who was assigned to the 90th Bombardment Group. Both individuals were selected and trained as part of a secret Native American Code Talker communications network to transmit secret coded messages using their Hopi Lavayil in the Pacific campaign with the Fifth Bomber command, Fifth Air Force, United States Army Air Force. Their heroic actions are credited by the United States Army in saving the lives of numerous solders by using their Hopi language to communicate messages in combat which contributed to the final victory in the Pacific and eventually to the successful end of WWII. 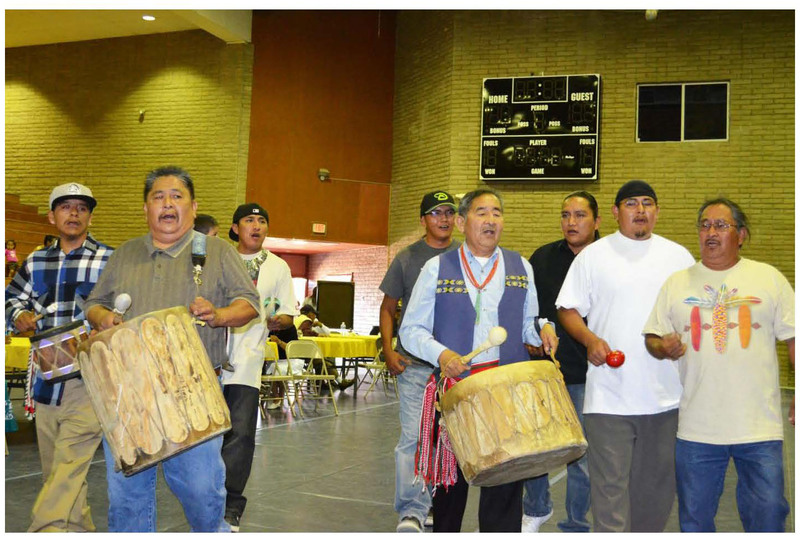 Rex Pooyouma was identified by the U.S. Army Center of Military Studies in September 2010, as a Hopi Code Talker. In October 2010, documentation was provided that also identified Orville Wadsworth as the 10th Hopi Code Talker. During WWII, Pooyouma (38072901) was assigned to the ground staff at Group Headquarters in the 380th. Wadsworth was assigned to the 90th Bombardment Group. Both were selected and trained as part of a secret Native American Code Talker communications network to transmit secret-coded messages, using their Hopi Lavayii, in the Pacific campaign. All other Code Talkers, OF ANY TRIBE, have the rank of Private First Class. The Army had no path for promotion of Code talkers. Rex Pooyouma is the only one found who was a sergeant. It is surmised that he had a commander who saw his worth, and gave him other duties that would allow for promotion. 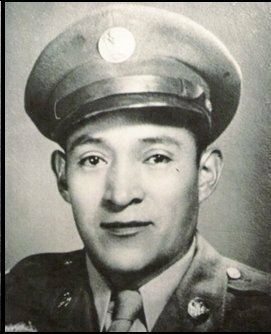 Rex Pooyouma was the only code talker on the 380th Headquarters staff and conducted all secret communications. This saved lives, not only among air crew, but on the ground, due to the success of the missions. Casualties were high, but would have been much higher. 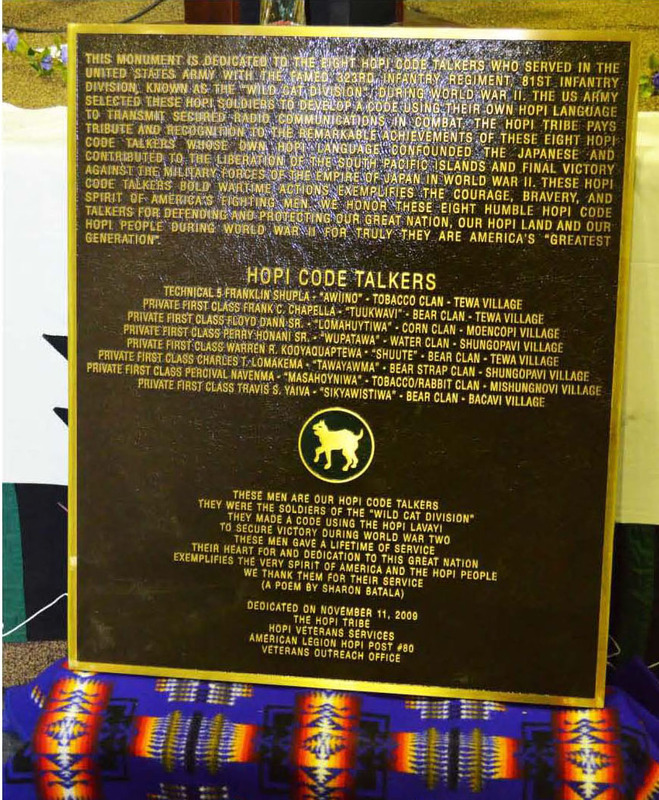 Three years ago the Hopi Tribe discovered they had eight Hopi Code Talkers in the 81st Infantry Division in the Pacific. They had a pivotal role in direct combat during the invasion of several Islands. 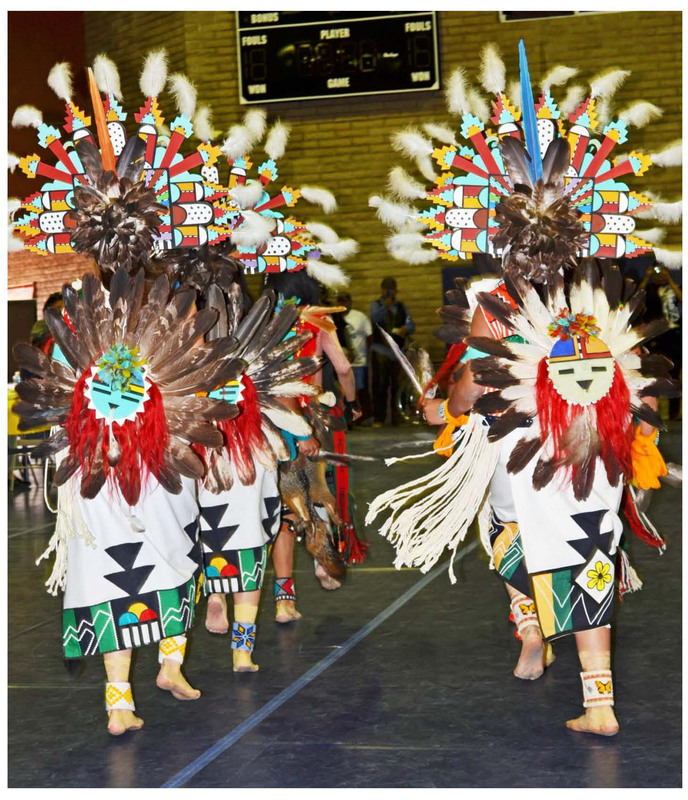 This was extremely important to the The Hopi Tribe and they were honored in ceremonies. 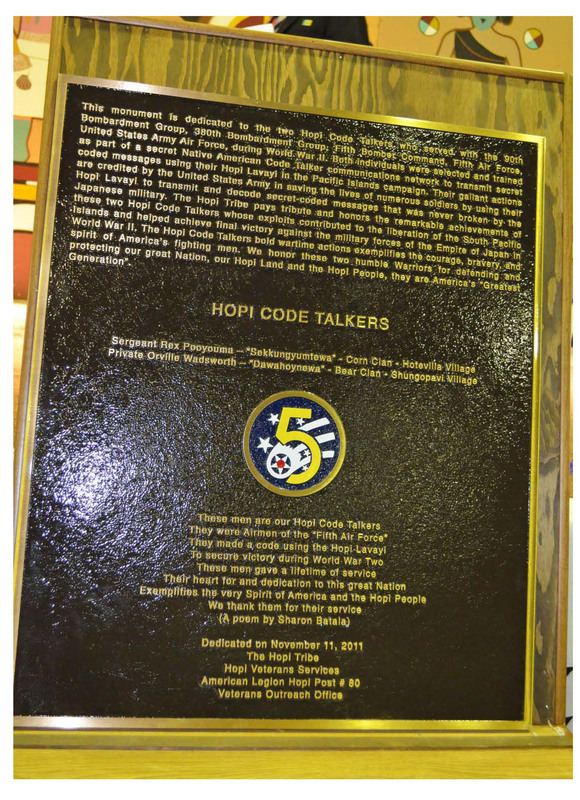 A very large plaque was created and displayed in their Veterans Hall. 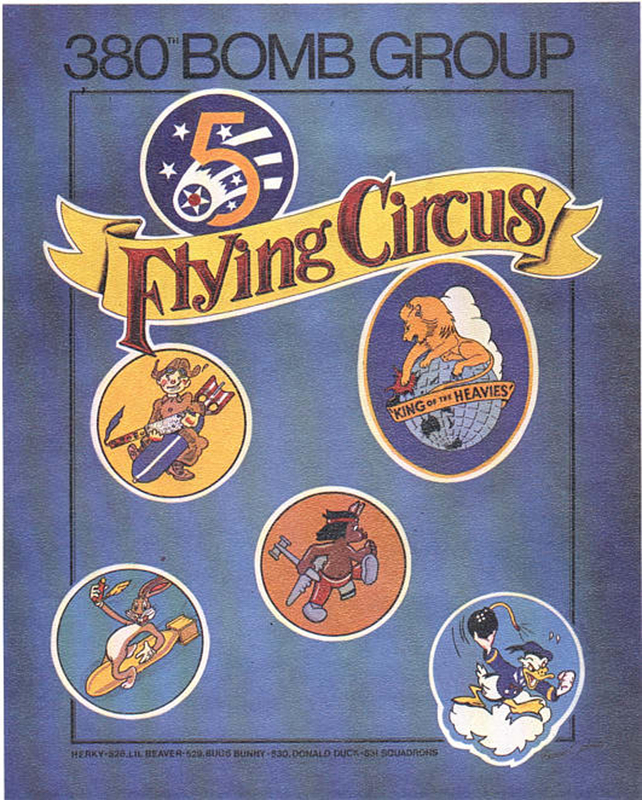 Finding out, later, they had two more in the Fifth Air Force was icing on the cake. A new large plaque for the two in the Fifth Air Force was presented at this year's ceremony. The plaque given to the 380th is a miniature of that plaque. Prescott Indian Market at Sharlot Hall Museum. at the first official Hopi Code Talker Memorial. Press Release of 25 October 2010 - "Hopi Chairman Shingoitewa orders flags to be flown at half-mast in honor of late Hopi Code Talker Rex Pooyouma"